When you have a problem, you want it fixed quickly and correctly. We understand. That’s why we’re focused on giving you a Worry-Free Experience as an Intermedia customer. And your interactions with our support team are a key component of that experience. To make sure you always get top-notch service, we require our support team to participate in a continuing education program, which enables them to deepen their expertise. And our support engineers get monthly one-on-ones to review their work and help ensure they’re delivering high-quality expert support. 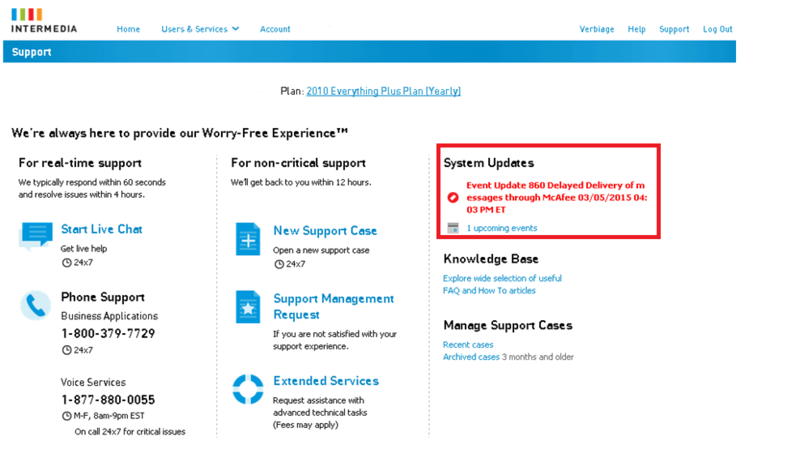 We work hard to catch system issues quickly and post up-to-date notifications in the System Updates area of the Support tab in HostPilot, and we post new updates to our notifications as soon as they are available. If you ever encounter an issue, you can quickly check there to see if we are already working on a fix. You’ll also find schedule maintenance listed in this area as well. Sometimes you’ll need to call our support staff for help. We’re ready to help you 24 hours a day, 365 days a year, and we make every effort to pick up your call within 60 seconds. Account ID and Security questions. Our team is very serious about the security of your account. Social Engineering is the easiest way for bad guys to get into your account. When you first call into support, we will need your Account ID to pull up your information, and we will need to verify you with your security questions before we can proceed. Your account ID can be found on the top of your HostPilot screen. Support case number. If you previously filed a support case for the issue, we will want to look up your support case by the case number. That way, we’ll be able to access the history of your case, including a status report and a summary of any actions taken so far. 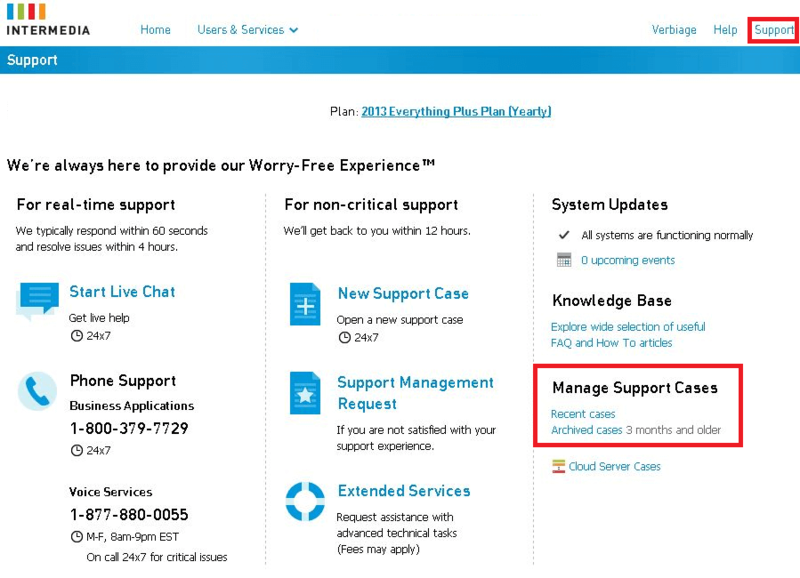 To log a support case, select Support at the top right of your HostPilot screen. You’ll also be able to review any recent cases. All of the steps required to reproduce the problem. For certain problems, we will need reproduce your issue in our test environment. We may have to use tools such as MFCMAPI to fix corrupted data. To run these tests, we’ll need to know all of the steps you have taken so that we can recreate the issue. List of users that are having the issue. Unfortunately, some issues can cause trouble for more than one user. If this is the case, try to give us a list of as many of the impacted users as possible. Having those user names enables us to more quickly pinpoint the issue and eliminate a lot of troubleshooting steps that would not apply to your situation. Operating System of the clients that are having issues. When we have all of the environmental information (such as what operating system(s) that impacted users are on) available from the start, we can more quickly identify issues that might be specific to the device or operating system your impacted employees are using. Want to learn more about our support team and their commitment to you? Visit us online or give us a call at 800-379-7729. When you need support from a vendor, you need it right now.